Sears Life Insurance Company is a stock-holding company that opened its doors in 1956. Its net surplus is $48,509,548; its assets are $73,633,364 and a capital of $2,500,000. With headquarters in Fort Worth, TX, most of Sears Life Insurance clients come to them through referral. 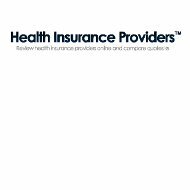 To view and compare different health insurance quotes you can type in your zip code. Offering both individual and group insurance Sears Life Insurance has many programs and benefits. Providing successful insurance to multigenerational families as well as small and large businesses are some of the areas in which they pride themselves. According to A.M. Best, Sears Life Insurance Company has a financial strength rating of A-, which is considered “Excellent.” With this rating also comes a definition of the company, which is “Stable.” Along with the financial strength rating is an issuer credit rating, which is also A-, with a “Stable” company rating. Ratings can be anywhere between A++ “Superior” to F “Liquidation.” Any rating between A++ and B+ is considered “Stable.” Both of the ratings were recent with a June 4, 2010 rating date. The company’s current president, Debra Sears, has had a 32-year career with insurance. She interned in the industry and while doing so marketed products, tailored to the needs of clients and developed strategies as well. Because of these initiatives, repeat and referral, business has been high over the companies many years in business. Her husband, Dan Sears helped to found the company and because of excellent customer service and tailored plans, Dan Sears, Inc. has been nationally recognized as a top producer for many years in the industry. Prior to starting the agency, Dan Sears had both a legal background and a background with two subsidiary insurance companies. With a combination between the two of them of marketing management, dedication, strong values, and ethics, they have brought a dynamic platform to the insurance industry. Sears Life Insurance Company focuses on what is needed most in the insurance field today. With individual insurance plans, group insurance policies, and strategic alliances they have a plethora of offerings to customers past, present and future. When Sears Life Insurance works for you, they also work with you. Some of the other qualities they bring to the table are making sure to have a full understanding of your business or lifestyle (for individual policyholders). For those businesses that have an insurance plan with Sears Life Insurance, they get involved and help employees understand their benefits. They also contact chosen staff members to work with them in obtaining all necessary information and tailor the company’s policy to meet overall needs. From individual policyholders, to small business owners, to even larger business owners Sears Life Insurance Company has excellent customer reviews. You can access this reviews here. With an unbelievable rating from A.M. Best and a hefty amount of praise from customers, Sears Life Insurance is a great company to look into when searching for health insurance. Not only have they gained respect from other professionals in the field, but also they have kept generations of families happy and insured for many years. With great technological abilities, extremely satisfactory management and handling of services and claims, Sears Life Insurance is an excellent health insurance company. For additional information on Sears Life Insurance or other competing company’s health insurance rates type in your zip code in the box provide to compare quotes. I have had a life insurance policy with Sears for a number of years. I have been trying to call them for two days. Cannot get anyone to answer, rep. Are busy. Now if There were a death in our family, how would we ever get in touch? Try a letter? The assistance number they give for me to contact is, 800-440-8610 in Ft. Worth, Texas. Is this legit? Called the 1-800440-8610 number on my policy. Is now American Life and Health. Was assisted by a very helpful employee, Alex. He advised me that American Life and Health took over the Sears Life Insurance policies in 1998.